iCollect Everything is the #1 app on the App Store for managing your collectables or inventory, whether at home, work, or school. This is a Universal app and works on both iPhone and iPad. Scan in or search for any item you own or want and add them to your lists. Full of incredible features! • Manage and inventory any of these FREE collections: - Movies - Books - Video Games - Comic Books - Music - Toy Cars (Hot Wheels) - Bricks (LEGO) - Wine - Coins - Art - Action Figures - Currency - Dolls (Barbie) - Vinyl Figures (Funko) - Board Games - Alcohol - Magazines - Model Trains and Planes - Puzzles - Pins (Disney) - Watches - Customized Collections - and so much more! (see screenshots for more details) • Create any Customized Collectable type you can think of: - Collect Harry Potter stuff? You can create a collectable type for that! - What about sewing patterns? You can do that too. - Sports memorabilia and trading cards? Done. - Disney and other pop culture products and toys? We can help you manage those too. - Vintage Coca-Cola, antiques, music equipment, school classroom inventory, shop tools, posters, anything really.... we can help you manage it with this app. • Loaded with millions of items from around the world in our database. 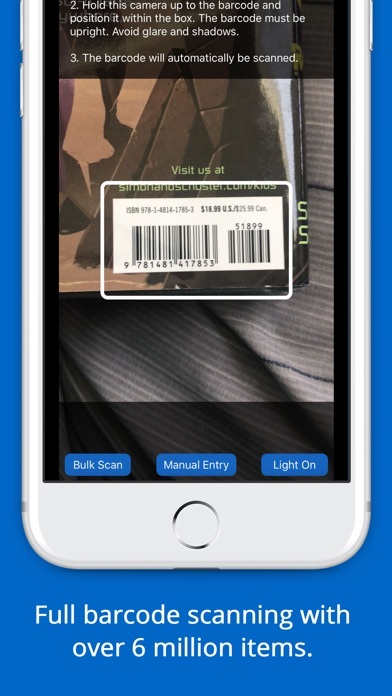 • Full barcode scanning and database search. • Cloud Backup • Sync across multiple devices, including iPad • Supports input in any language and allows selections of any country and currency. • Filters, sorting, and importing. • Three different custom layouts. • Exporting • Multi-level sorting • Shake to Select • Default Field Data • Customize which fields are displayed • Section Counts • Share your collection with friends or on social media like Facebook and Twitter. • Format your Titles with A, An, or The removed. 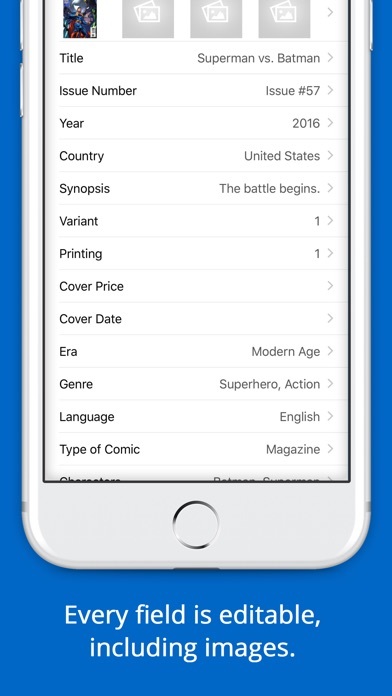 • Extra features like colored Themes and more. • Every field is editable. • Store up to four pictures per item, including front, back, and inside images of items. 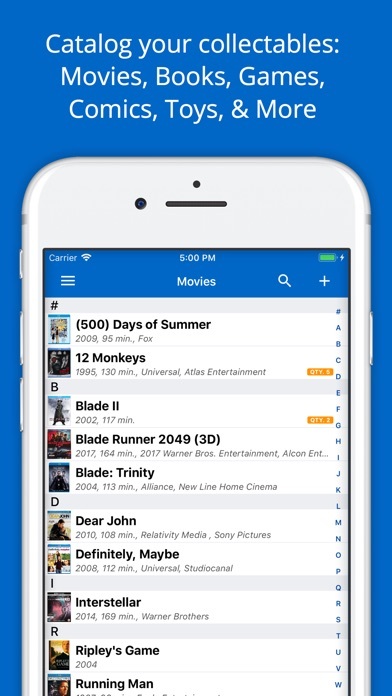 • Personal details per item including Loaned, Purchase Price, Purchase Date, Date Added, Personal Rating, Last Watched, Storage Location, Opened, Notes, Estimated Value, and more. 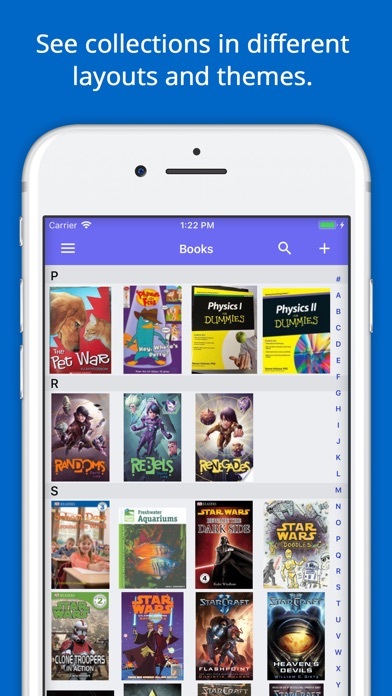 • Index bars and search for quick access in large collections. 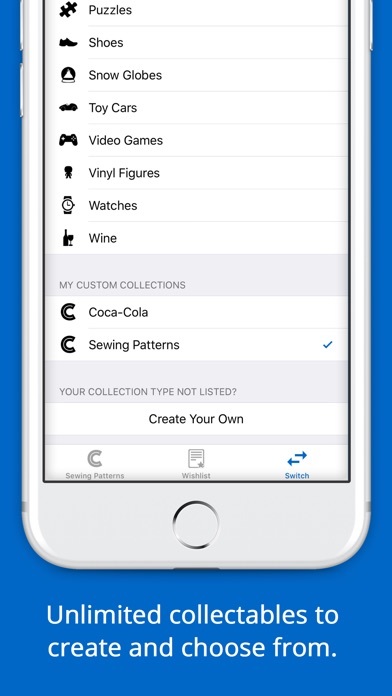 This app is a completely new collecting experience, written from the ground with Swift 4, iOS 12, the latest devices like iPhone X, XS, and XS Max, and full Universal iPhone/iPad support built-in. Our app was created with a cloud database backend designed specifically to allow each item to be stored with its own individual attributes. We can import your collection from nearly anywhere: Previous legacy versions of iCollect, Sort It Apps, and Hooked In Motion software, Collectorz, MyMovies, Delicious Library, BookBuddy, and much more. Just send us your import file and we'll get you rolling. 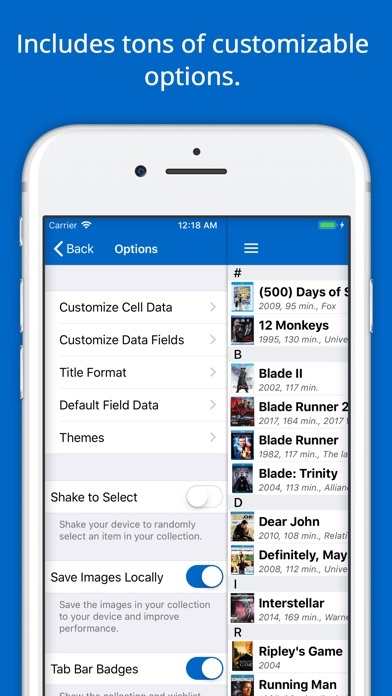 Large collections require an in-app purchase per collectable type to unlock unlimited storage. great for collectors after paying the $29.99 plus $2.10 tax upgrade. 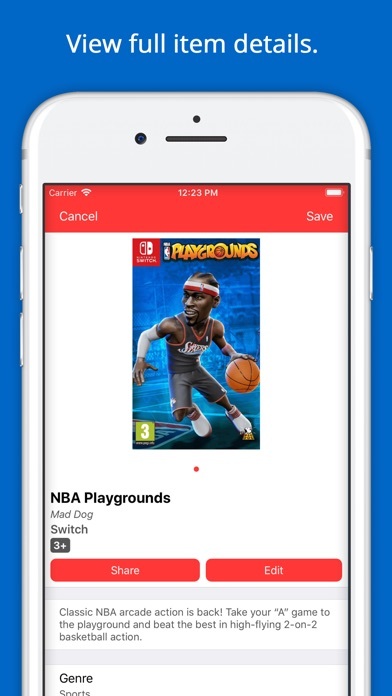 one update it needs is nintendo switch eshop as a choice for the video games list also when you let them transfer your other list from like the sort it video games app all the release dates you have will all be changed to dec 31, 1969. all my 868 games took me 3 days to get the dates fixed and 4 days for the wish list side to get fixed. You’re not warned in advance that you can only save 75 titles for free and that additional titles will cost $9.99. They’re hoping that by the time you’ve entered 75 titles you’ll probably feel obligated/invested in it and go ahead with purchasing the app. Not me. I feel manipulated and annoyed. While this is an excellent app and would’ve done me a lot of good. I find having to pay $9.99 per collection for unlimited adding is ridiculous. They should change $9.99 for the whole app. I refuse to pay $60 for this app. So thanks for wasting my time. Thought it was a great app. All I want or do is have a list from scanning my movies. After 75 scans it makes you pay $10. Kinda steep for just a scanning app I thought. By listing this as free with in app purchases I assumed ads would be present. I’m ok being forced to ignore an ad every so often but pay to unlock unlimited entries in your collection PER COLLECTION is just thievery. I saw this app and was excited over the concept. It seemed perfect. And free, that was unexpected. I was enjoying using the app and was ready to get a good idea of just where my collections were. Then I reached the limit for board games (20?Really?) and the app said I would need to pay $9.99 to make it so I could do unlimited board games, and only board games. I then did some research and found that they want that $9.99 for every category, making it a good $60 or more for someone like me, to be able to use this app at a useful level. Nothing up front about how that all works. Felt very deceitful to me. If it were one reasonable to be able to use all the categories, I could see that. Love the idea of the app and the potential, but I don’t like being scammed like that. I finally have a compiled list of collections and the things I want to add. Come on, who after-all only collects one thing? The few issues it occasionally has. And they are minor at that. Are made up for with the versatility. This is what I’ve been looking for. The problem is it crashes when I input certain information. Then when it does, anything else I wrote in that wasn’t saved has to be re-entered. Since I wrote this, there’s been an update. Problem fixed.